Enochian Magick applies the language of the angels as captured by John Dee and Edward Kelly. This particular book reprints rituals, articles and tables that Crowley produced on the subject based upon Dee’s original studies. Duquette makes an introduction of the material, explaining the fascinating history of John Dee, but from there makes no comment on the material. This is a primary source book for scholars and magicians. 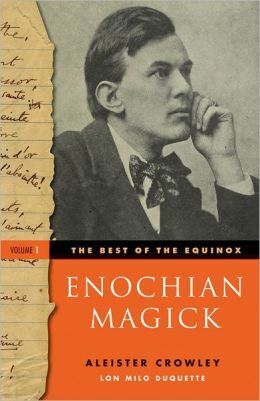 Because of its seminal contribution to Enochian magic, it falls outside the conventions of criticism.